Everyone buys groceries and everyone needs a good, reusable bag to depend on. 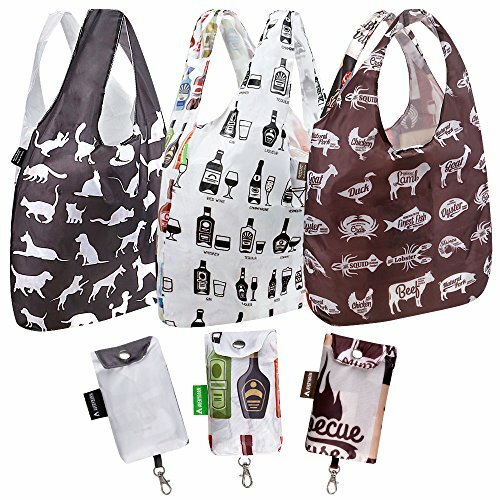 Whether or not you choose to go to the supermarket, market, wholesale club, supercenter, shopping center, shopping mall, farmer's market, toy store, game shop, garden shop, restaurant, cafe between work and home, you can always use Avery Barn Reusable Foldable Grocery Bags Totes, for Groceries, Produce, Fruits, Vegetables, Shopping, Recyclables in Bulk, Traveling & Toys, Large, Store in Car Trunks & Carts - 3pc - Various Designs! 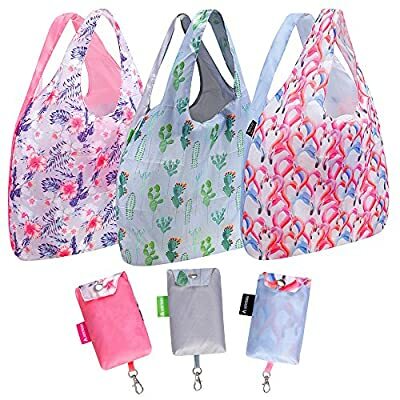 These fully reusable grocery totes and recyclable shopping tote bags are perfect for holding your fruits, vegetables, dairy, snacks, meats, fish, eggs, breads, baked goods, appliances, spare parts, clothes, toys, video games, cans, bottles, and more! Each bag is water resistant and can be wiped down, dried and re used again and again! 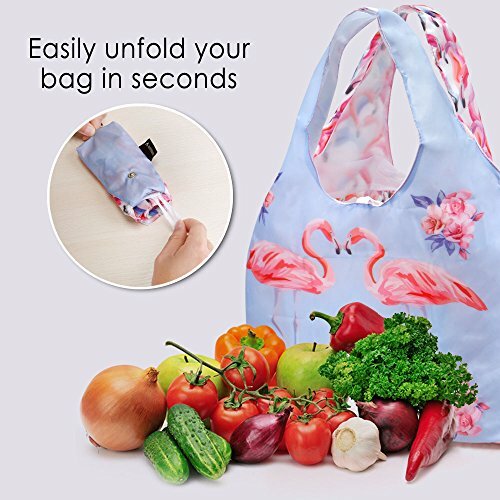 Fully foldable, flexible, and easy to store under a car seat, in a closet or locker, or in a bin with all your other reusable grocery bags and reusable bags groceries. 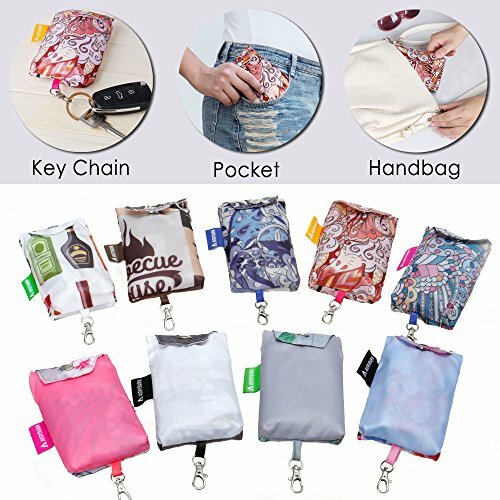 Fits in the palm of your hand when folded or expands very wide and large when unfolded. There are so many more ways to use this than just described! Bags always come in handy. Never be without another reusable bag in hand and buy this three piece bundle today! 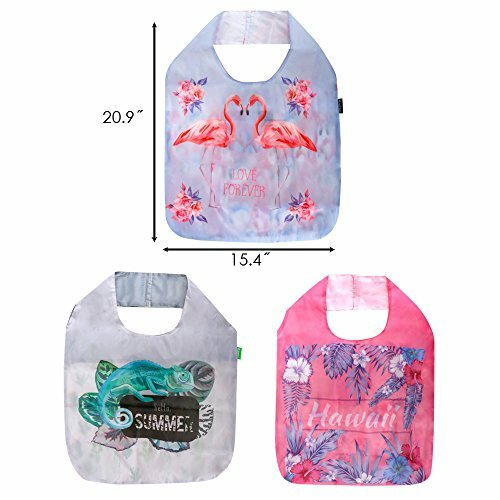 WASHABLE: Made to hold your grocery goods, cleaned & dried, then used again! Fully Re usable FOLDING FLEXIBLE: Fold grocery bags into a compact pouch, measuring 5.5"X3"X1" attached to each trolley bag LARGE REUSABLE PRODUCE BAGS: Measured at 20.5"X15.5", pretty huge reusable shopping bags that can hold a lot of produce VERSATILE: Use these reuseit bags at the supermarket or shopping mall for vegetables, fruits, even toys! 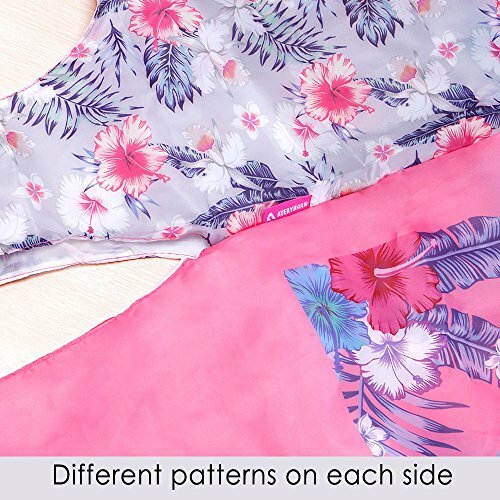 VARIOUS DESIGNS: Avoid plain solid colors & choose from interesting red, blue & green variations!